All Jeeps are NOT Created Equal. Best Used Jeeps Gives You the Good, the Bad and the Ugly! FACT: Most used Wranglers are overpriced...but one model is still a better deal. FACT: The later CJ models are often not as well made as the Wrangler...yet the prices are may be very similar. FACT: One Jeep 4x4 model is a real bargain...and it's not the Wrangler or CJ. FACT: The 4x4 Grand Cherokee (2005 on), 4x4 Liberty, 4x4 Patriot and 4x4 Compass all have one thing in common that the Wrangler does not have. FACT: Finding expert honest and unbiased opinions regarding the various late models...and including the variety of older Jeeps...is becoming more and more difficult...until now. FACT: You now have the opportunity to own a complete guide to Jeeps with your total satisfaction 100% guaranteed...in an easy to read ebook. I am a long time, genuine, unabashed, proud Jeep Lover! I've owned, driven and professionally written about all kinds of Jeeps off the road and on. I have made it a point to intensely study and learn the Used Jeep Market for many years now (and continue to do so). I receive a lot of questions about used Jeeps through my website...and one day it occurred to me that most folks (possibly like you) just don't have the time to spend searching for the right used Jeep that most fits their (your) wants and needs. ...and many people have simply asked for a clear handy guide describing and evaluating most Jeep models built over a 65+ year span. It was also obvious to me that most people are desperately seeking honest, clear and direct information without a bunch of self-promoting hype. I know this for a fact...because I am also pleasantly surprised when I can get the substance without the unnecessary filler. I sincerely believe that getting the best deal on anything requires as much knowledge about the product as possible...to assure the best "value for your hard earned dollars" and to locate good old-fashioned "bargains". While doing my research I found that I could easily spot the "best Jeep bargains"...and just as importantly...see the "rip-offs" just by knowing what to look for. I wrote Best Used Jeeps to give you everything you'll need to make an informed decision in your search for the best bargain Jeep available. If you have been wondering about owning a late model Wrangler, Grand Cherokee, Cherokee XJ, CJ7 or any number of Jeeps from modern to classic...then this book is for you! Also, each Jeep reviewed in the book has a clear photo to give you a visual idea of that model presented. With this easy to read ebook you simply: Buy it! Read it! Own it! want to know how to get the best "bang for your buck"
and even some of the original Military War Jeeps." this great American icon in all of its glorious 65+ year history". That Is Just Right For You"
I strongly suggest that anyone interested in purchasing a used Jeep read "Best Used Jeeps" by Larry Morton before you even start looking and definitely before buying. This book is for everyone that wants to get an idea of how much to pay, where to look, and what to look for when searching for a used Jeep of any model or design. This book is an inexpensive way to save a lot of money and time on your used Jeep purchase. For anyone who's interested in buying a Jeep, this is the book to read! I've liked the styling of Jeeps for years, but this book gave me insight into many pros and cons that I wouldn't have known about on my own. I was amazed to find out how many models there were that I never knew existed. All of this information being in one book is like having a Jeep dealer in your pocket (only with unbiased honesty). It was so nice to have all of this information in one place. As a Jeep enthusiast and someone who has purchased several used Jeep models reviewed in this book, I feel Larry Morton has his finger on the pulse of the used Jeep vehicle market. His insight into the off-road capabilities of each Jeep model as well as his ability to drill-down to find the true bargain used Jeep models has helped me rethink my next used Jeep vehicle purchase. If you are a veteran Jeep owner such as myself, or someone considering their first used Jeep, after reading this book you will come away thinking, "why doesn't everyone own a Jeep?" Just wanted to let you know how happy I was with your book...Since I was reading up on researching the Wranglers, I seem to lean toward a TJ Wrangler of choice. Seems like the vehicle I would like as a second truck. Thank you for your input. It really helped. Which Jeep is best for my needs? I know little to nothing about Jeeps...will this book help me? Are Jeeps only for men? What about us girls? I have a Jeep.....can I get info on models other than mine? Which is the better deal...the CJ7 or the Wrangler YJ? Is the CJ3B Jeep a good daily driver? Is the Patriot a good off road Jeep? What about the Commander..Liberty..Compass..Grand Cherokee? Can I easily find a good deal on a Wrangler TJ? What's the difference in a "Cherokee XJ" and a "Grand Cherokee"? Can I find a Jeep pickup truck? Are the old Jeep wagons a good buy? What about looking for a "fixer-upper"? Where are the best bargain Jeep deals found today? Find Honest and Direct Answers to All of Your Questions in Best Used Jeeps! Also, discover which Jeep models are "BEST BUYS"...and which are overpriced...or bad choices. Notice: I have no connection to Chrysler/Jeep and have no interest in personally selling any vehicles. I wrote Best Used Jeeps to help you arm yourself with the skill and ability to find and get the best Jeep possible for your hard earned money. It's that simple! You will not find a better used Jeep guide anywhere. Look on Amazon or in your favorite bookstore, and I guarantee you will not find a better resource. 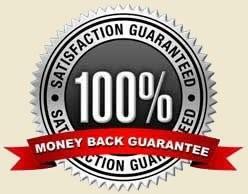 I will give you a full refund within 60 days after your purchase! My eBook is available to you instantly after purchase. A simple download is all you do to immediately begin reading Best Used Jeeps right from your computer. Also, you will have permission to print my eBook to paper in it's entirety for your personal use, to keep as a hard copy guide. I simply ask that you not reproduce my eBook for resale or distribution...just For Personal Use Only. By the way...your purchase is always verified safe and easy using the secure ClickBank order form provided. Think about it! If for less than $8 you could save $500, $800, $1000 or more on your next purchase...would that be worth it to you? The money you save could be used for new tires, great wheels, or many great off road parts and accessories available for Jeeps. Let Best Used Jeeps show you how. Your time is valuable...so why spend hours and hours researching the used Jeep market...when I have already done it for you? You can have a quick, thorough reference guide at your fingertips...in only a few short minutes. I have condensed over 200 pages of jam packed Jeep information into an easy to read...time saving 71 pages...by removing unnecessary fillers and fluff. There's nothing to lose...and tons of information to gain. The more you know about Jeeps...the more money you will save when purchasing a used one. It is that simple! You are only a click away from making a smart decision. You are about to own an ebook that will deepen your understanding and give you the big picture view of almost every Jeep produced.